Another monstrous creation from Zero to 60 Designs in Southern California is making headlines! It’s a rugged SUV built off the popular Ford F-350 Lariat truck platform. It has plenty of space to fit six adults comfortably, thanks to the the roofline being raised five inches to give it more of that SUV feel. It’s a unique and special vehicle, with features that deserve to be bragged about! Zero to 60 Designs put its new Nighthawk SUV on display at the SEMA Show in Las Vegas. It’s certainly an impressive vehicle, and one that has turned heads at the largest annual aftermarket automotive display. The SUV is helping Zero to 60 Designs remain competitive in the eyes of people at the show. You might remember, the company’s debut offering was considered a big hit at the 2016 SEMA Show. People loved their GTT car. This latest Zero to 60 Designs custom-luxury SUV was designed and built by the company’s very own Kenny Pfitzer. Kenny’s passion for bringing new wild designs to the automative market comes from his dad, who is a retired rocket scientist for NASA and Boeing. Pretty cool, right? His father was actually instrumental in the United States Space Program. Kenny spent most of his childhood helping his scientist dad restore vehicles in their garage and he has followed that passion ever since. After going on to work for many different skilled people in the automotive industry over a number of years, Kenny decided to start his own Zero to 60 Designs business in 2016. The goal is for the Southern California design studio to be one of America’s most creative automative and architectural design houses. We can definitely see how this studio is on the path to even more good things in the future with this newest vehicle! People not only love luxury SUVs, but high-profile folks like celebrities and business moguls love unique luxury SUVs. They want a vehicle that’s different from what everyone else has. They want something they can brag about, that they know took a long time to create. That’s exactly what the Zero to 60 Designs’ Nighthawk SUV is. Its military-inspired exterior with its plush, luxurious interior are bound to make any luxury SUV fan drool. The Nighthawk SUV definitely has aggressive shaping that almost resembles an overseas design. That helps make it feel even more exclusive. Zero to 60 Designs also says the SUV’s stance gives the impression that this sinister truck is all business. However, once you step inside, you’ll notice that it boasts modern amenities usually reserved for foreign vehicles. As we’ve already mentioned, the Nighthawk was designed exclusively in-house by Kenny Pfitzer. It started out as a modest 2018 Ford F-350 4X4 Lariat extended cab. But, by creating a CAD-designed 3D model, the Southern California design studio reimagined it into the Nighthawk SUV. Creating the model involves producing a 3D-scan using the actual truck, where the information is entered into a unique modeling-computer. That scan is then reviewed by the team to confirm final measurements. It’s a very precise process as each body panel is scanned individually to ensure accurate measurements are recorded, with the final production being molded to exact specifications. In other words, the design studio has this SUV down to a science! "It's no secret that we love diving into unique challenges and producing one-off custom creations, as evident by our prior work,” said Pfitzer. “The Nighthawk was a whole different animal, however,” he added. “What we love about this custom-luxury SUV is that it all came from a simple, yet elegant concept – we wanted to create the world's most rugged, tough and luxurious SUV, and we believe we've accomplished that. Starting with a platform like the Ford F-350 Lariat 4x4 and trying to improve on an already impressive foundation was certainly no easy task. Then again, that's why we're in the business of making custom creations, isn't it? If it were that easy, everyone would be doing it." 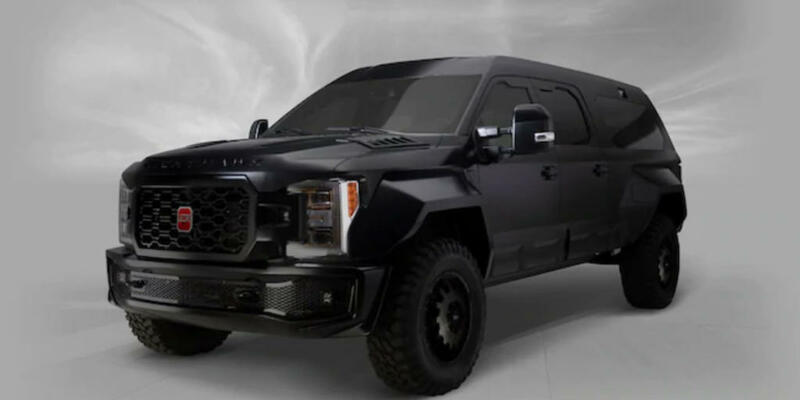 Key sponsors who helped make this ultra cool SUV possible include PPG Paints, which delivered the custom satin-black paint and high-gloss black accents. They help make the vehicle pop, while simultaneously making it feel mean! Nexen Tires provided the Roadian MTX Mud Terrain extreme off-road tires, capable of taking you and your friends on any off-road adventure! The high-quality G Series wheels, meanwhile, add even more unique style to the Nighthawk and come from Grid Off Road. S&B Filters was responsible for the intake system specific to diesel engines. And as for diesel engines, we’re not exactly sure what’s under the hood of the Nighthawk. But, the donor F-350 Lariat is powered by a standard 6.2-liter V8 that makes 385 horsepower. There’s also an optional 6.7-liter Power Stroke turbo diesel that pumps out 450 hp and a pavement-tearing 935 pound-feet of torque. So, that’s something to keep in mind! As for the special window tint, Solar Gard provided that. It ensures the custom-leather interior stays cool and safe from the harmful UV rays. 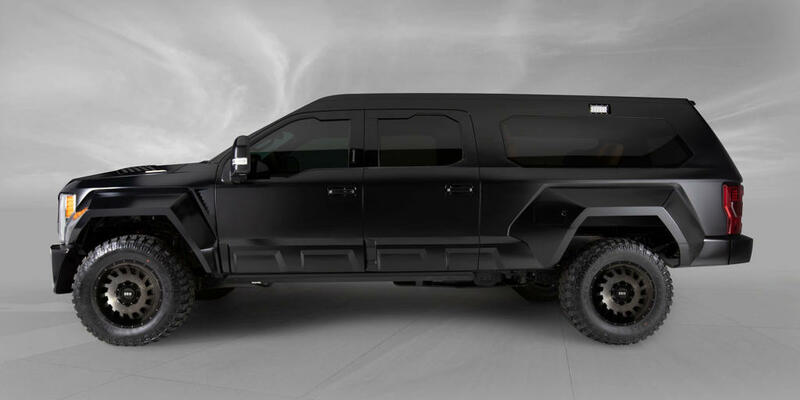 This latest entry into the military-esque SUV world is bound to get people excited! 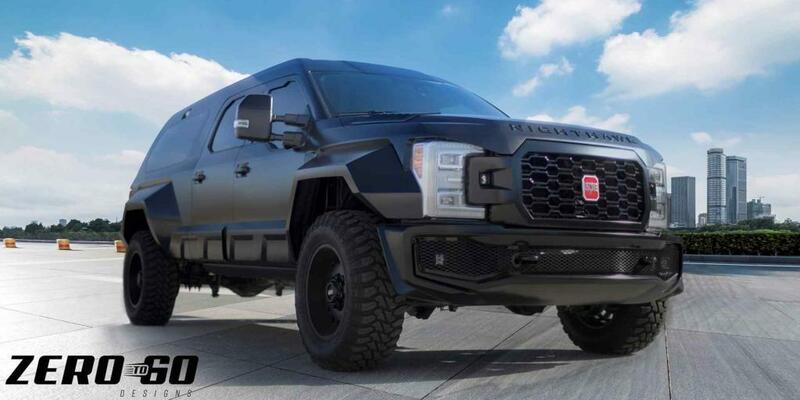 Anything that looks mean and powerful these days seems to sell quickly, and we can expect that with Zero to 60 Designs’ Nighthawk SUV. 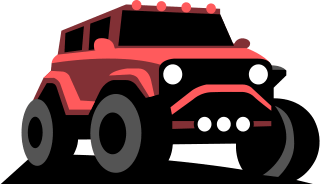 The massive wheelbase, beautiful dark matte exterior finish, the bulging fender flares with huge off-road tires, the amazing leather interior, these are all features to write home about! We’re sure it’s powerful, too, although we don’t have the specifics on what’s exactly under the hood! This vehicle challenges the norm of what you think you can get out of an SUV. The Southern California design studio is currently taking orders for the Nighthawk, but you can expect it to be far from cheap! So, be ready to pay a pretty penny for this impressive SUV!